In Chengdu, Sichuan Province of China, we have a team of Mandarin interpreters and Chinese translators who can provide you with Chinese translation and Mandarin interpretation services. Our Mandarin Chinese interpreters in Chengdu are professionals who have applicable credentials in this field, namely the China Accreditation Test for Translators and Interpreters given by the Ministry of Human Resources of China. They normally have a degree in Chinese/English Interpreting and Translation and English Language and Literature. They will be able to provide consecutive and simultaneous interpretation services for you in Chengdu, China. Jessica is a Chinese translator in Chengdu. 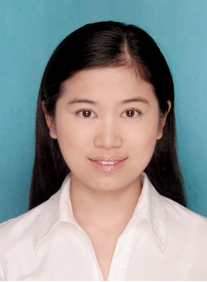 As one of our Chinese translators and Mandarin interpreters in Chengdu, she helps us fulfill clients' requests.. Graduated from Sichuan University, she has worked as an interpreter for the last seven years. She is an asset in our Chinese translation team in Chengdu. As the largest city in Western China, Chengdu is one of the most important economic, transportation, and communication centers. Chengdu Railway Station is currently one the six largest train stations in China, while Chengdu Shuangliu International Airport is one of the top 50 airports in the world. More than 250 Fortune 500 companies and 10 consulates have established branches in Chengdu, and it was named China's 4th-most livable city by China Daily. China's state council has designated Chengdu as the country's western center for logistics, commerce, finance, science and technology, as well as a hub of transportation and communication. It is also an important base for manufacturing and agricultural industries.